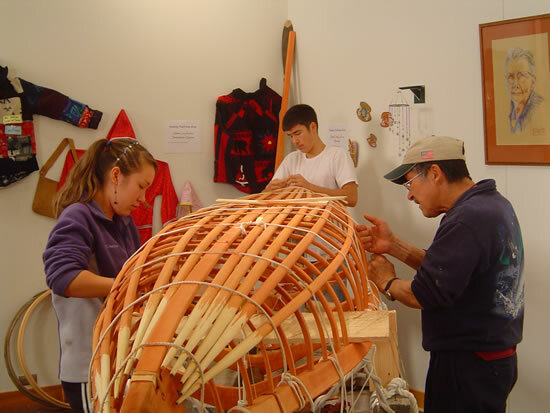 Noah Andrew and Kira and Ethan Wilkinson lashing a kayak frame together, Bethel 2006. Our language had no word for science, yet our tools were so well designed that they allowed us to live in a land no one else would inhabit, a land we still call home. When I was in school I hated science. I couldn't understand it. Not only was it in another language [English], but all the examples were foreign. If we begin to speak of 'Yup'ik science,' we will give our children something they can understand. Although there is no word for science in the Yup'ik language, it is the very essence of their lives.